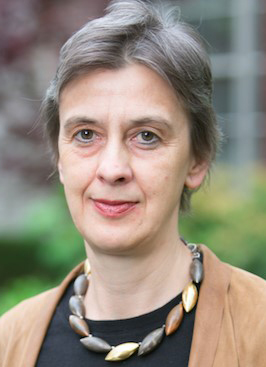 Katharina Pistor is the Edwin B. Parker Professor of Comparative Law at Columbia Law School and director of the Law School’s Center on Global Legal Transformation (CGLT). She previously taught at the Kennedy School of Government and held a position as research associated at the Max Planck Institute for Foreign and International Private Law in Hamburg. She has held visiting professorships at Tel Aviv University, the London School of Economics, Frankfurt University, NYU and University of Pennsylvania Law School. At Columbia Law School, Katharina Pistor teaches corporate law, law and development, comparative law, and law and finance. Her research spans corporate law, corporate governance, money and finance, property rights, and the co-evolution of legal and economic systems. As director of the CGLT she has conducted collaborative research projects and organized workshops with academics from around the world on issues such as the legal structure of global finance, the emergence of global property rights regimes, and the challenges of digitization under conditions of fundamental uncertainty. She has published widely in legal inter-disciplinary journals; recent publications include “A Legal Theory of Finance” in the Journal of Comparative Economics (2013), and “From Territorial to Monetary Sovereignty in the Journal on Theoretical Inquiries in Law (2017). She has published several books as author, co-author, and co-editor, including “Law and Capitalism” (with Curtis Milhaupt), Chicago University Press (2008); “Governing Access to Essential Resources” (with Olivier de Schutter), Columbia University Press (2015); her most recent single-authored book “The Code of Capital” is forthcoming at Princeton University Press. In 2012, Pistor was a co-recipient, together with Martin Hellwig, of the Max Planck Research Award on International Financial Regulation. In 2015 she was elected a regular member of the Berlin-Brandenburg Academy of Sciences. She has also received research grants from the Institute for New Economic Thinking and the National Science Foundation. Pistor has been president of the World Interdisciplinary Network of Institutional Research since the organization’s inception in 2013 and has served on the editorial boards of several academic journals, including Transition Economics, the Journal of Institutional Economics, and the European Business Organizational Law Review.